Our custom dining chairs are imported from a small factory in Italy as flat packed chairs and then the delivered to our factory in the Midlands. It’s there the magic happens! 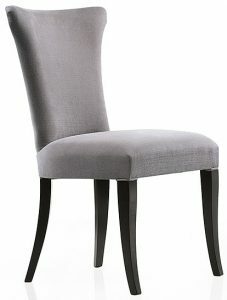 There are over 200 chair styles to choose from. As well as that there are 13 fabric choices including colour options for faux leather, chenile and marble. 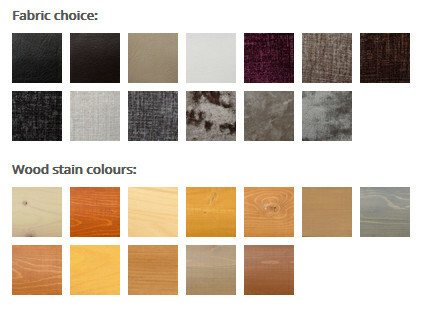 The wood stain options are traditional natural wood colours and modern greys. While the chair styles such as Tessa dining chair are fixed we can adjust the wood stain colour, making it darker or lighter to suit your interior design. We can also use your fabric but talk to us first so we can assess whether it is suitable and how much we would need. If you have ideas or questions about further customisation we are happy to discuss. Either call Dinesh on 01788 844014 or contact us.